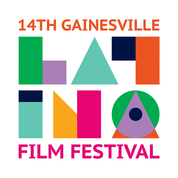 The Latina Women’s League is partnering with the Star Center Theater to bring this sensational music piece of theater during the 14th Gainesville Latino Film Festival. The story explores three days in the characters’ lives in the New York City Latino neighborhood of Washington Heights. The score features hip-hop, salsa, merengue and soul music. In the Hispanic community of Manhattan’s Washington Heights, bodega owner Usnavi is dating Vanessa, who works in a beauty salon. He dreams of opening a bar in his home country, the Dominican Republic. Nina loves Benny, a shy young man who has worked for Nina’s parents for years, but her father opposes their union because he wants Nina to finish her education at Stanford University. She doesn’t want her father to bankrupt himself paying for the expensive school, but her father is prepared to sell his car-service business. “Abuela” Claudia, who raised Usnavi after the death of his parents, wins $96,000 in a numbers game.